The Foreigners’ Football Field was built before 1878 and originally used as a lawn tennis court and cricket field. It was subsequently used primarily for playing soccer. In 1910, the court was an important venue for the reception ceremony for the AmCham delegation. 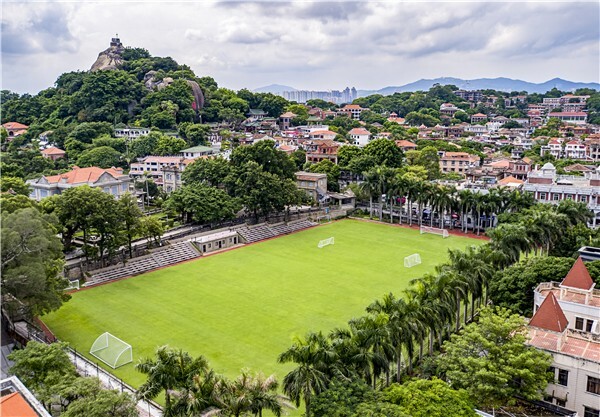 This historic, sprawling soccer pitch serves as an informal divider between the Kulangsu Town and Southern Parks + Beaches neighborhoods. You can generally wander around on its well-manicured grass when the stadium is not being used for a match. 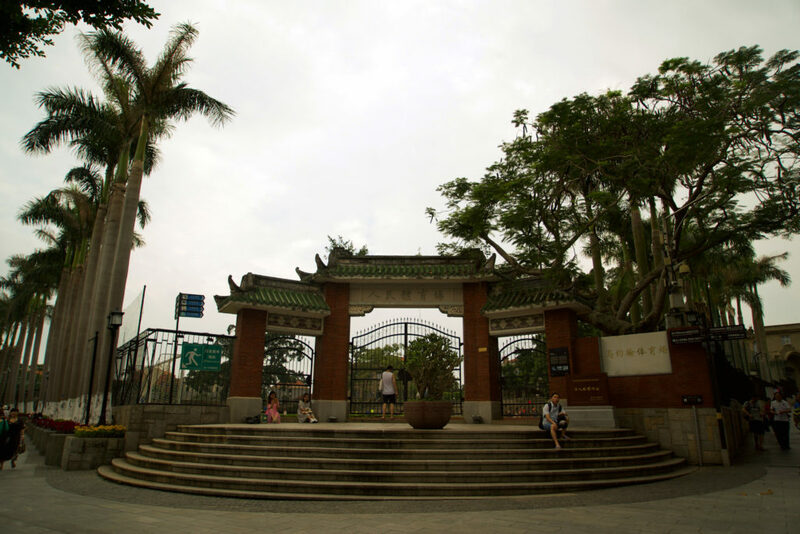 The giant banyan tree by the corner entrance of the stadium is a crossroads for Kulangsu, with one path leading toward Nei Cuo Ao and the other toward the heart of the Long Tou Road shopping area. Soccer matches happen periodically depending on the season, and the occasional rugby match shows up too. The stadium is lined on all sides by picturesque palms and upscale shops.